If you were to list some of the top staple stores in the country, Ann Taylor would undoubtedly come up. That’s right: The brand that’s located in most major malls is known for stocking those go-to essentials to fill out your work wardrobe, along with offering a variety of forward, on-trend pieces to round out your everyday casual rotation as well. In fact, after breezing through the store recently with a friend, I realized that I’m actually going to start recommending the line to my inner circle on the reg for those polished yet cool finds that won’t totally break the bank. (PS: Ann Taylor often has readily available discount codes of up to 40% off.) To get a sense of the pieces I’m feeling at the moment, I rounded up 20 items worth checking out. You won’t be disappointed. If you haven’t tested out the leopard-print trend yet, well… get to it. The perfect blazer to wear to work this season… and to your holiday party. Warning: You just may want to live in this all season long. Functional and forward—what more could you ask for? Just imagine getting through this season without a warm parka. Exactly. This hue feels very right now. You can never go wrong with the perfect white blouse. The perfect black ankle boots, found. 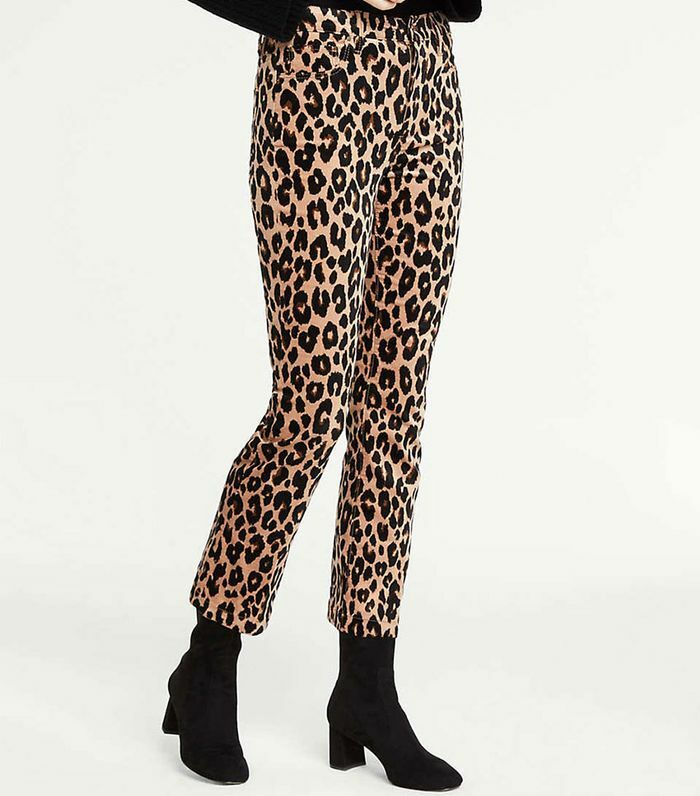 Seriously, it's time to jump on the leopard trend. Give your daily ensemble a playful finishing touch. Looking for a sophisticated pair of jeans to wear to work? Here you go. Top off your go-to winter look. Slouchy boots have been everywhere this season. The twisted accent brings a little something different to this classic silhouette. This coat hits two trends at once—animal print and faux fur. Done and done. A festive finishing touch to any winter 'fit. Go on—make an instant statement. Toss this sleek blazer over anything for instant sophistication. This cozy scarf will complement any ensemble. These tie details bring this cozy cashmere sweater to the next level. Next, check out the best winter finds on Amazon.